Factor investing is all the rage, but many financial advisors are still unsure of its benefits. Factors such as value, momentum, size, minimum volatility, and quality are well-documented as robust and persistent across markets over time. 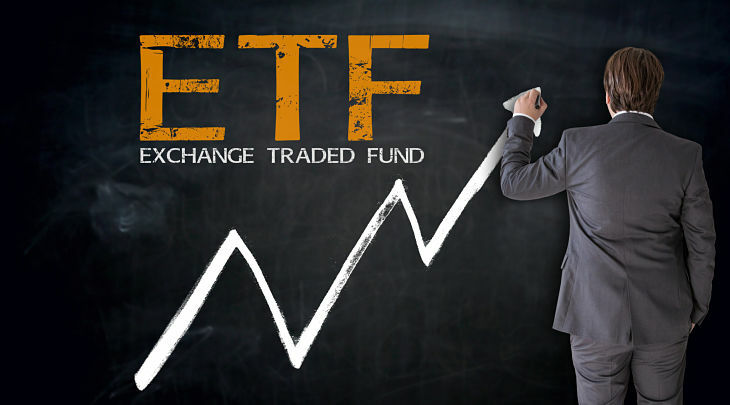 Advisors and investors alike must now determine how to harness some of the latest ETF innovations to deliver better outcomes in their portfolios. While there are many academic studies available, there is still much to be understood in regards to the key selling points and long-term benefits of incorporating factor investing into broader investment portfolios. Below is a quick look at a few strategic reasons advisors should consider making the move into factor-based ETFs. #1. Factors can provide a greater edge over the markets than asset classes or sectors. Finding and maintaining an edge over the market is a cornerstone principle in financial advising. Most approaches to beating the market have historically focused on either making top-down or bottom-up decisions versus the benchmark using traditional asset classes or sectors. These approaches are used to help investors participate in segments of the market that deliver superior risk-adjusted returns. When compared to these other methods, factors offer better odds to beating the markets over time. 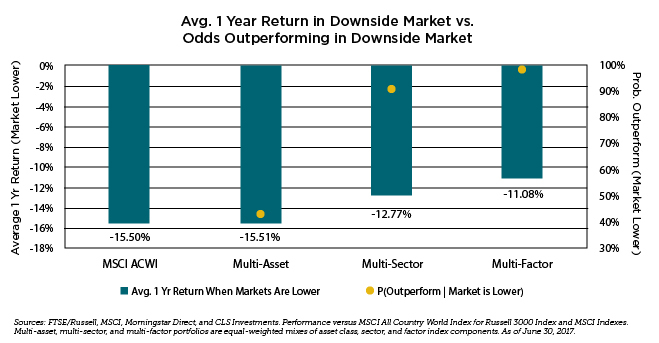 According to a recent study by CLS, individual factors tend to outperform the markets 62% of the time on average, while asset classes and sectors only do this roughly 53% and 52% of the time respectively. When combined into an equal-weighted mix, factors outperform almost 80% of the time, while equal-weighted mixes of asset classes and sectors only do so 51% and 67% of the time respectively. Sources: FTSE/Russell, MSCI, Morningstar Direct, and CLS Investments. Performance versus MSCI All Country World Index for Russell 3000 Index and MSCI Indexes. Multi-asset, multi-sector, and multi-factor portfolios are equal-weighted mixes of asset class, sector, and factor index components. As of June 30, 2017. #2. Factors can provide better downside protection and diversification when it matters most. The ability to protect on the downside is another important element of effective money management. 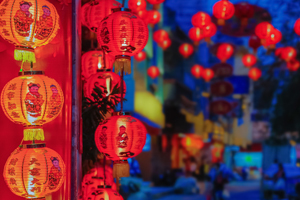 As markets become turbulent time and again, the ability to protect wealth in order to recover sooner is essential to being able to meet the long-term goals of investors. Factors can deliver more meaningful downside protection when global equity markets are lower. 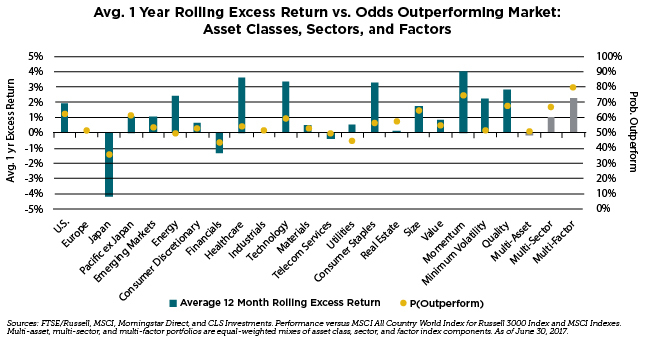 Looking at average one-year returns when markets have historically been lower, we see that an equal-weighted mix of factors has outperformed the market on average by about 4.4%. An equal-weighted mix of sectors has typically outperformed the market, but only by 2.7%, while an equal-weighted mix of asset classes was on par with the market.